Whether it’s something you’ve had your eye on or you need the perfect gift, we have a variety of bird feeding products and unique gifts for the nature lover on your list. 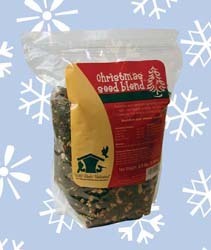 Our WBU Christmas Wreaths make beautiful gifts for your friends and their birds (your birds too)! 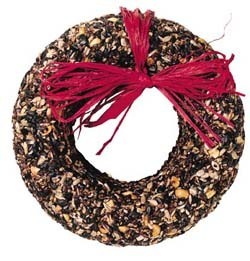 Made of black oil sunflower seeds, sunflower chips, nuts, and cranberries, our wreath will please cardinals, chickadees, titmice, nuthatches, woodpeckers, and more! Whether you are looking for a great nature gift or a new way to thrill your birds this season, we have everything you need. 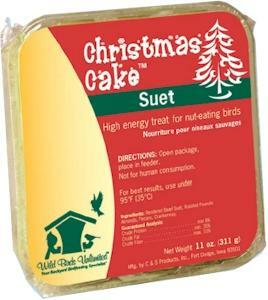 We offer a variety of holiday bird foods, including Preston the Penguin and Buttons the Snowman Seed Characters, our Christmas Cake™ Suet and our Christmas Seed Blend. Each of these is only available for a limited time, and only at Wild Birds Unlimited. Hurry in!